Finding the right review writing service is simpler in theory than in practice. In a virtual sea of options where every offer is self-described as the best one out there, choosing an inconsistent or inadequate service becomes a rather realistic scenario. And opting for a wrong review writing service can easily derail an entire project and needlessly complicate life. In order to help you evaluate your options, we’ve rounded up and reviewed what we believe are the 10 best review writing services, starting with the best. We’ve made summaries for each of them, presented the type of service they are offering, analyzed their pros and cons, and took a look at their pricing. Data Entry India is a division of SunTec India and it offers a variety of writing services to its potential clients. This New Delhi firm is one of India’s forerunners in the field of outsourcing of data entry and related services. Their review writing team has experience dealing with a wide range of industries, including, but not limited to electronics, medical equipment, automobiles/bikes, luxury watches, apparel and many more. Data Entry India may not offer the best service on this list in terms of text quality, but what they offer is speed, efficiency and a good amount of backlinks. A perfect choice for anyone whose already established business needs a quick boost, but those who want to get a quality text may want to avoid Data Entry India. 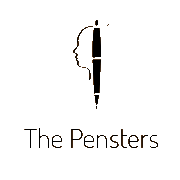 The Pensters is a name of a company based in Nicosia, Cyprus. Although the focal point of their website seems to be offering the service of writing essays for students, they also provide reviews for movies, literature, products and just about anything else. Unlike most other websites on this list, the way to establish a price at The Pensters is to place an order and description, and then wait for the bids to come in and chose which one you prefer. To summarize, The Pensters are a young service provider whose lack of experience may raise an eyebrow or two, but their dedication and quality of work definitely make them a good option, especially if you are low on time. When it comes to SAMM Data Services, quality definitely comes before quantity. However, they are the perfect choice only if you are in need of an e-commerce kind of review. If you need something other than that, maybe it would be better to take a look at some other services. SAMM Data Services is really an interesting entry on this list as they are perfectly aware of what their market is – from the moment you enter their website, everything is so bluntly aimed at showing you that they know everything about e-commerce. The main reason they are on this list is that they are striving to expand their range and start successfully working with other kinds of reviews without compromising their e-commerce output. Bishop Writers is a New York City-based copywriting company that offers a wide range of writing services to individuals and corporate entities. With a strong accent placed on SEO, their main focus is on helping companies across the globe grow their brands and reach out to more prospects online. Besides offering to write your reviews, Bishop Writers also provides clients with a wide range of articles, blog posts, product descriptions and press releases. Bishop Writers has the ability to offer you a soild review with good SEO and an interesting text that will engage the audience. There may be some cheaper options out there, but if you are in a need of a review that is surely written by a native speaker, Bishop Writers will make it happen. Advanced Writers is a Hong Kong-based academic assistance company that also offers assistance with review assignments. These services are performed by qualified professionals who are experienced with writing quality reviews on various subjects on all academic levels. The main issue people seem to have with this firm is the pricing as the cost of getting a review via Advanced Writers tends to get a bit scary. However, there is a money-back guarantee, so they are obviously confident in their skill. Getting a review from Advanced Writers will cost you anywhere from 15$ per page, a price tag that will definitely turn off some potential customers. However, if you are willing to pay and are not interested in the standards of online marketing, you will get your money’s worth – the text will be perfectly written and a joy to read. Custom Writings is a company based in London, UK. Describing itself as an academic assistance company, Custom Writings also offers a review writing service and, by reading their online offer, one can easily conclude that they know what they are doing. You have an opportunity to order reviews of any academic level or general type and they will meet all of your requirements. If neither money nor time are factors in your decision, then choosing Custom Writings is the correct option almost every time. They will provide you with an excellent review that will immediately show signs of their dedication, research and talent. Their reviews will reflect precise information, creativity, originality, correctly cited inferences and great content organization. Constant Content is one of the largest and most established marketplaces for SEO friendly content, connecting businesses with the best freelance writers online. What sets Constant Content apart is that they offer to serve as a subsidiary to your in-house content marketers. When it comes to writing reviews, Constant Content’s freelance writers have demonstrated their abilities in writing compelling text. Constant Content is just perfectly balanced on all fronts – the texts are solid, the price is right, the time to deliver a review is fair and you will be satisfied with the applied SEO. In other words, ordering a review from Constant Content is usually the right way to go. Vertical Writing is a dedicated content development and copywriting firm with over five years of experience. A vibrant team of tremendously result-oriented, client-centered and energetic content writers, they deliver expert content writing services to clients on a worldwide level. Vertical Writing has worked with established online businesses that deal with travel, business and industrial items, baby products, cell phones and accessories, clothing, shoes and accessories, computers/tablets, consumer electronics, entertainment, health, beauty and jewelry. 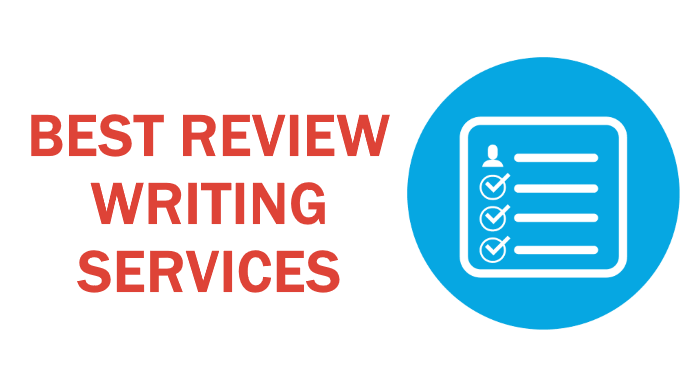 In other words, Vertical Writing offers the most versatile review writing service out there. If you can afford their steeper prices, Vertical Writing is probably THE firm to go with for a review writing service. They have the ability to do some real magic with whatever you need to be reviewed and they tend to steer clear of writing robotic texts. SEO Page 1 initially started in Dhaka, Bangladesh, in 2010. Since then, SEO Page 1 has provided employment to writers, SEO analysts, editors and account managers from all over the world, so they are definitely a good choice if you want your review to be solid on all creative and technical levels. Currently, they have two content mangers, two senior proofreaders, two researchers and a marketing executive, meaning that the burden of writing a quality review will not be placed on just one set of shoulders. In our opinion, this is the best review writing service out there – SEO Page 1 offers intriguing texts that will excellently depict your product or service with taking into account things like the aimed market and competitors. Furthermore, they will make sure your text is up to date will all the SEO standards and there is precisely zero chance of plagiarism. GoSuperb is a relatively new arrival to the content and copywriting scene – it came into existence in 2015. Their impressive roster of written review content already ranges from business essentials to adult paraphernalia (that diverse), and the team has begun to build up an excellent reputation with the dynamic and varied review material they produce. These small considerations aside, GoSuperb really is as strong a choice as the firm’s moniker suggests. Supremely high quality reviews with added touches that put them in a place that many longer established countries can only dream of, and innovative approaches to customer service that virtually guarantee all-round contentment with your content mean that this is the top reviewer put under the microscope.